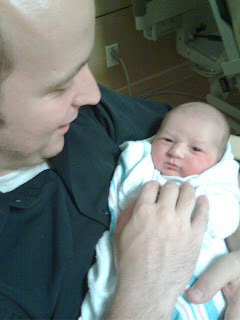 Jack Renn Sperry was born July 23, 2009 at 7:55 am and he was 8.1 pounds, 21 inches. 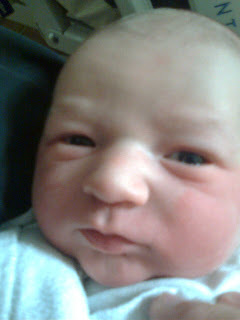 I was supposed to be induced that morning but he decided to come just a little before that, thank goodness! He had a little trouble breathing at first so he went to intensive care, but he recovered quickly and in about 2 hours we got to be with him for the rest of our stay. This has been such a rich blessing to have such a sweet spirit entrusted to John and I. We love him more than anything in the world and we're excited for him to teach us some of the most important lessons in life. 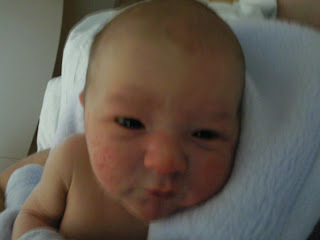 We will update this blog regularly so you can keep up with little Jack! congratulations!!! what a fun time, i'm glad that everything went well!